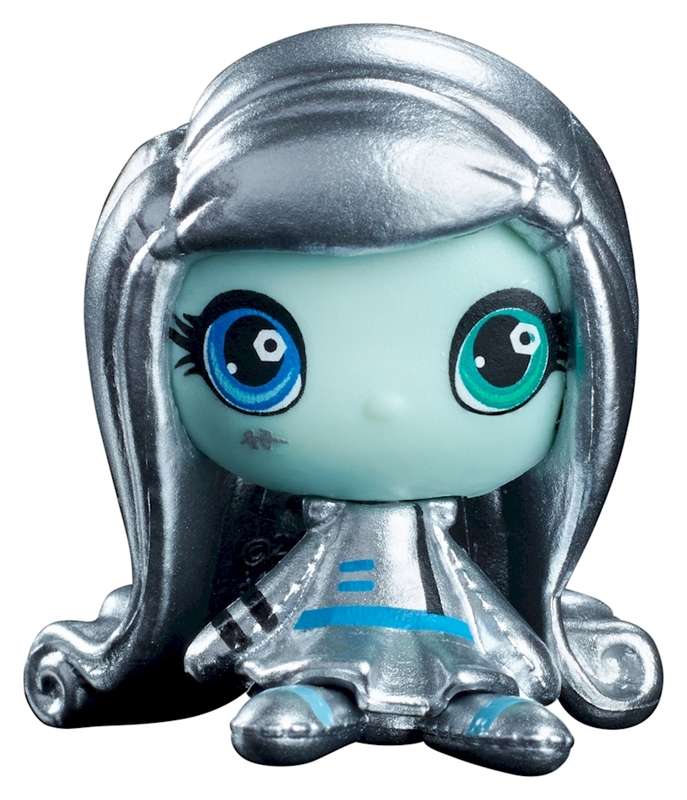 It comes with one exclusive mini figure -- a silvery metallic Space Monsters Frankie Stein™ collectible -- to get your collection started. The Monster High™ mini collectible figures are monster cute -- so cute, you'll want to collect them all! Open the cover of this case to reveal the favorites in your collection. 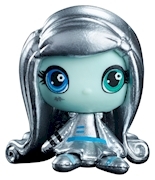 Each display slot has a Monster High™ decal with a recognizable icon or scene from the school. Fun locker-shaped cut-outs create windows to show off your most special mini figures. And a convenient carrying handle lets you take them on the go. Build your collection and never leave it behind with this clawesome carrying and storage case.